Pro-Russian Czech incumbent Milos Zeman clinched pole position in round one of a weekend presidential election, paving his way to a challenging run-off against pro-European Jiri Drahos, full results showed on Saturday (Jan 13). The face-off, on Jan 26-27, is shaping up to be a clash not only of politics, but also personalities. Zeman's attitude to the European Union, of which the Czech Republic is a member, echoes populist-minded eastern EU leaders - especially in Hungary and Poland - at odds with Brussels over mandatory refugee quotas and various rules which they see as attempts to limit national sovereignty. He is also stridently anti-Muslim, having once called the 2015 migrant crisis "an organised invasion" of Europe and insisted Muslims were "impossible to integrate". 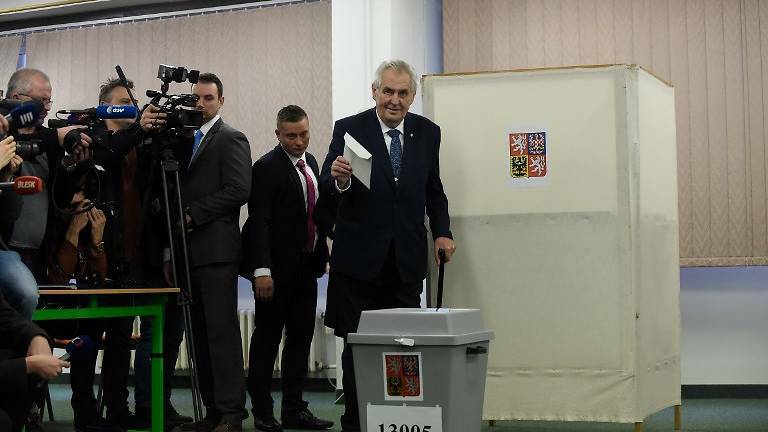 Zeman secured 38.56 per cent of ballots from the election held on Friday and Saturday, while Drahos garnered 26.60, the Czech Statistical Office said. "I invite all those who want to vote for me to come to the polling stations in round two too, and bring your friends, your lovers and their mistresses," the flamboyant 73-year-old Zeman told supporters gathered at his campaign headquarters in Prague. "In the previous presidential election (2013), I got 24 per cent in the first round and 54 per cent in round two, and this year already 40 per cent in round one," added the ex-communist who is also pro-China. "I congratulate Jiri Drahos for this beautiful second place." Drahos, 68, could not be more different. A mild-mannered liberal centrist whom critics have dubbed "wishy-washy", he has called for Prague to "play a more active role in the EU" and has backed the adoption of the euro. A former head of the Czech Academy of Sciences, Drahos told supporters at his Prague headquarters that he would spend the next two weeks campaigning to "anchor the Czech Republic in Euro-Atlanticism" in a clear jibe at the Kremlin-oriented Zeman. As the results rolled in, analyst Jiri Pehe told AFP that "Zeman will have a huge problem in the second round." "It is clear that the other candidates who have dropped out of the race, for example, Pavel Fischer, Marek Hilser and Michal Horacek, will vote Jiri Drahos in round two," Pehe said. The combined voter support for the three also-rans stood at 28.24 per cent. Horacek and Hilser showed up at Drahos's headquarters to shake hands, while Fischer also voiced his support. Horacek tweeted a picture of him hugging Drahos and wished him "a lot of strength for the fight to come." A recent poll for Czech Television showed the divisive Zeman could flounder in round two with Drahos poised to score 48.5 per cent of votes predicted against 44 per cent for the incumbent. After casting his ballot in Prague, Lubos Seidl said the election boiled down to "a clash between the people who think the old way and those who think the new way." Many voters remained undecided until the last minute, with Prague archivist Marcela Riegerova saying she "ended up tossing a coin to decide between two candidates, and Drahos came out the winner." Analyst Pehe said the vote highlighted a "polarised" society. "It is a clash between ... the post-communist part of society represented by Zeman and the other part, say, modern, pro-Western, which simply doesn't want this president anymore," he told AFP. Zeman has the backing of embattled billionaire Prime Minister Andrej Babis, who said the incumbent "fights for our national interests" but called on him to "unite, not divide" Czechs. Babis's populist ANO movement won last October's general elections with its anti-corruption and anti-euro campaign, but the Slovak-born tycoon who is facing police charges over EU funding fraud has failed to woo coalition partners. Tapped by Zeman for prime minister in December, Babis was forced to form a minority government which appears set to lose a parliamentary confidence vote on Jan 16. 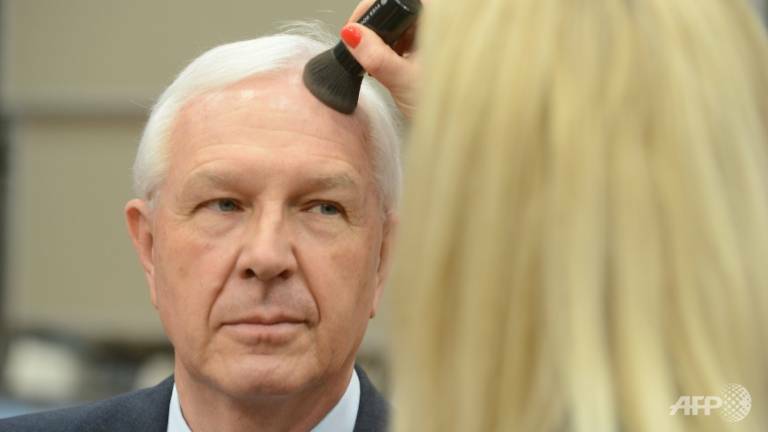 Pehe said a victory for Zeman might "pave the way for a deeper alliance with Andrej Babis, which could lead to a change in some basic parameters of liberal democracy in the country." But things could change dramatically if Drahos wins. The CTK news agency pegged turnout at 61.88 per cent in the first round vote, similar to the last presidential ballot in 2013.